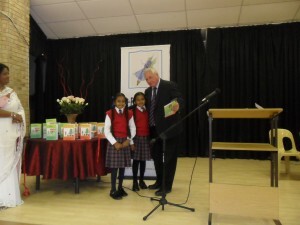 9 year old twins, Sonal and Yuvadiya Ranjith, had an exciting time when they launched their new books at their school, Harriston Primary, in Harrismith, Free State. The launch was opened by the Principal, Mr Schofield, followed with a brief talk by Felicity Keats Morrison. Then Veena Gangaram from Durban who had mentored the twins, spoke. Veena introduced the two young ladies who read the first pages of their books to the audience. 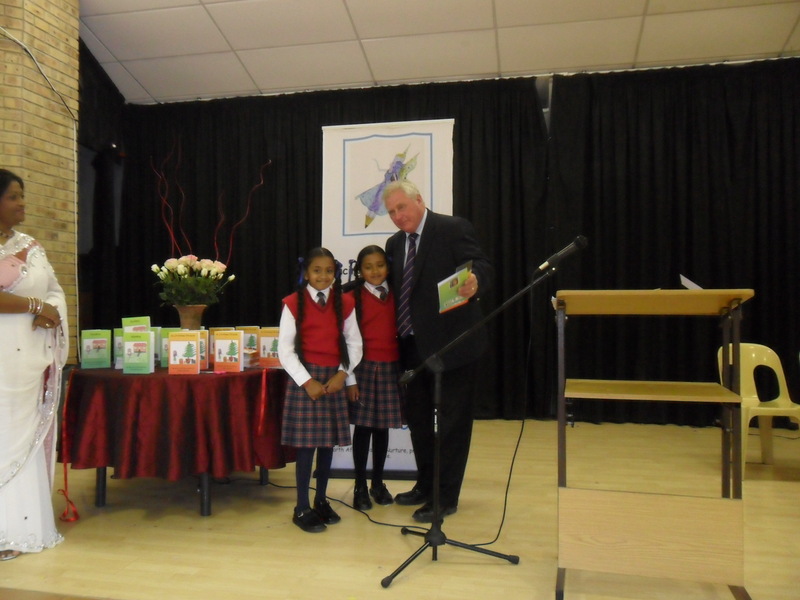 The twins then presented one copy of their books to learners who answered correctly a question put to them. Sonal and Yuvadiya Ranjith, 9 year old twins, launch their new books on Monday 24th October at their school, Harriston Primary, in Harrismith, Free State. Coming up from Durban for the launch at their school are their Mentor, Veena Gangaram of Dancing Pencils, and Felicity Keats and Ndiphile Gule of umSinsi Press. These two young ladies had extra input from Veena Gangaram who “unlocked” their right brains and helped them to develop story-writing abilities. Their books have been illustrated by themselves. They have already been written about in a Free State newspaper! And we wish them well!